Welcome to our class page. Here you will find information about the children’s exciting learning, as well as any key dates or important pieces of information that you will need to know for the upcoming half term. Meet our new worship group for the coming half term. They are looking to helping to lead the worship sessions each week and to delivering their own worship session at the end of the half term. Our class worship group led their final worship session by themselves. They were so brave and confident because there were only two of them who were in on that day, so they had a tough job to do! A huge well done to them! We thoroughly enjoyed sharing our learning and our work on fellowship with parents. We shared our learning from British Science Week, from our Warrington Detectives project and from our learning about the plight of the refugees. We shared drama, artwork, writing, scientific investigations and research, maths, geography fieldwork and PE. We even used fellowship to learn a new song and a country and western dance. We enjoyed sharing what we have learned about being courageous advocates to overcome social injustice through our work on refugees and plastic pollution. We hope you enjoyed it as much as we did! We have returned from our residential at the Peace Centre and we had an absolutely amazing time. We focused on our Christian value of fellowship through working together as a team using communication and by supporting and encouraging each other. We took part in a number of team games and problem solving activities where team work was essential. We also completed a really fun scavenger hunt in teams, we did a litter pick and we created some beautiful natural artwork using what we found in the local environment. Many of the children said it was the best time they’s ever had and they wanted to stay for longer! The children were an absolute delight to take away and all staff were very proud of them. Well done, year four! As part of our Warrington Detectives project, we looked at the buildings of Westbrook and designed our own models of them. We learned about how important a frame is to support a building and we found out that a triangle is the strongest shape, so we made sure we used some of these in our frameworks. We also used our measuring skills to measure our materials accurately to make sure each part was the right size. We were really pleased with our models! 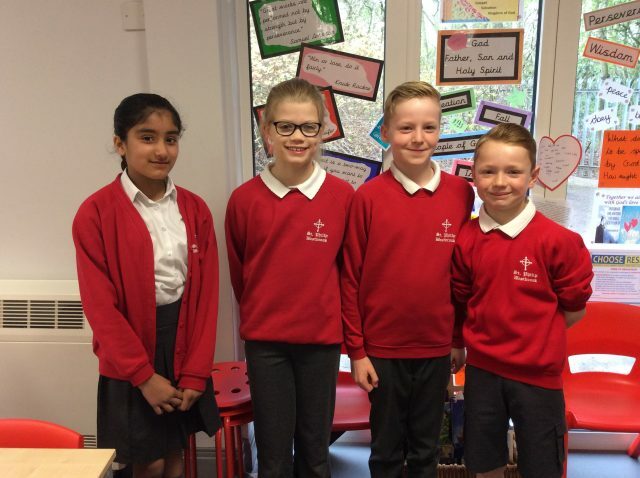 Our new group are excited to take over and to begin helping to lead our class worship sessions. They are already looking forward to leading their own session at the end of the half term. Our third worship group led our final class worship of the half term. They did an amazing job and they were very professional in the way they led the session. They enjoyed organising the service and choosing the song, the object and the questions they asked, and they especially enjoyed handing our certificates and leading the prayers. Well done! As part of our English and PSHE work, we have been reading stories about refugees and researching what life is like for a refugee so that we can help to tackle this social injustice. We were horrified to hear about the reasons why people have to leave their homes, and about the awful, treacherous journeys they have to endure to get to their destinations. Worst of all is that they are often made to feel unwelcome when they do arrive at a place of safety. We even did some drama where we reenacted this journey with our family. We wrote poems, fact files and created some artwork about refugees. Some of us even wrote letters to MPs about this important issue so that refugees can be treated more fairly. We had a fabulous day today when United Utilities came into school to do a water cycle workshop with us. We learned all about the different scientific processes involved in the cycle; we learned about how water gets to our taps; we listed all the ways we use water; and how we can reduce the amount of water we use; and we also learned about water shortages around the world and how we can keep safe near open water. It was a jam packed afternoon! We have been learning about badminton this half term. We have learned about striking a shuttle over a barrier using control and accuracy. How to swing and serve; how to use front and back hand and how to smash the shuttle. We are also starting to read the game and make judgements about shuttle landings, trying to improve our accuracy. Today, we shared the story of the transfiguration. It was a story we hadn’t heard before so we listened and watched very carefully. We are trying to find evidence that Jesus is the Son of God and this confirmed it for us. It also showed us that Jesus has power and authority. We performed a retelling of the story using drama and we reflected on what we learned from this story. This week in English we have been reading and performing various poems. We have practised using our voices by changing the tone and volume of our voices and we used our bodies by adding actions and using facial expressions. We did a brilliant job at entertaining our audience! Here is our new worship group for the coming half term. Our current group chose their replacements and they are looking forward to their new roles for the next half term. Our worship group led our class worship for the end of this half term and they did an amazing job. They planned and delivered the session by themselves and included a question to begin the reflection, they shared a story, they used the God’s Big Story frieze, reflected on our Christian values and they chose their own song and wrote a prayer. We were very proud of them all! Friday 14th December was Christmas Jumper Day. 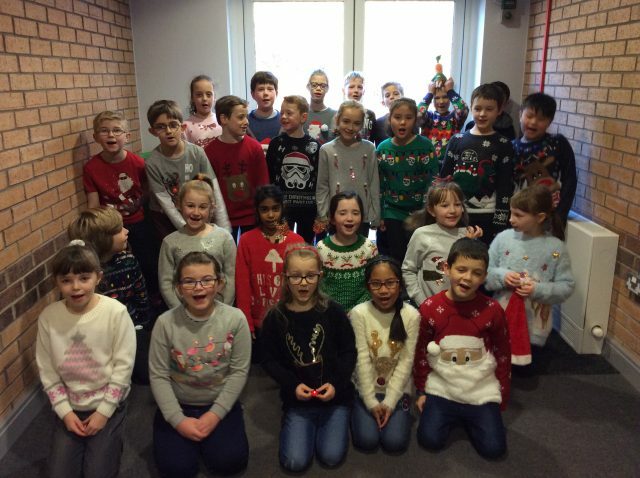 We have been learning about injustice in the world and to try to make sure all children have the same opportunities that we have, we brought in donations to wear our Christmas jumpers. We watched some videos about children around the world who are not as fortunate as us so that we understood why we are donating and where our money goes. Geography: Is it Better for Children Our Age to Live in Cities or Villages? We have reached the end of our geography project where we have learned about cities and villages. We have learned about the physical and human features of both and we have researched cities and villages in the UK and in the continent of North America. To finish our project, we had a debate about whether we would prefer to live in cities or villages. We had a chair person, a time keeper, 3 proposition speakers and 3 opposition speakers and we voted at the end. We decided we would much rather live in a village than a city by 15 votes to 2! Today, we were lucky enough to have an electricity workshop. We found out about the components of a circuit and how these all connect together to make a complete circuit. We practised drawing the symbols for the components of a circuit and we used these to construct a circuit diagram. We investigated which materials and objects were conductors or insulators by testing a range of everyday items. We even learned about series and parallel circuits. Finally, we learned about how electricity is made and how it reaches us, and also the jobs that people do to supply us with electricity. 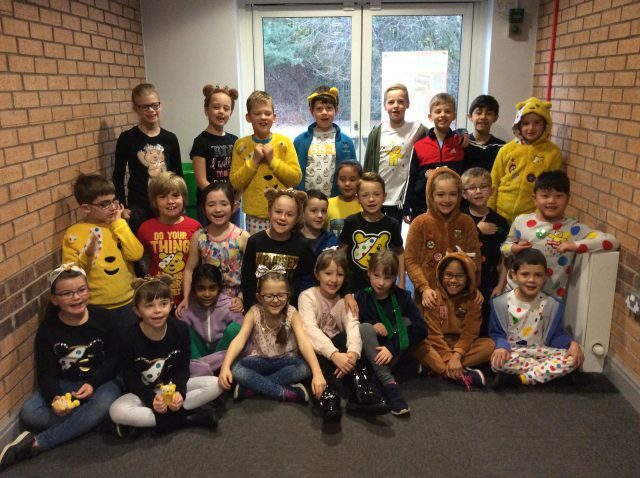 On Friday 16th November, we enjoyed dressing up in spots to raise money for the charity Children in Need. We watched a number of videos during the day to learn about the work the charity does and to hear about the problems that some children have. We were really moved by some of the stories we heard and we reflected on our Christian Values and how we can show these to make sure we show respect and compassion to everyone. Our new class worship group have now taken over and they are doing a fabulous job in their new role. They are helping to organise and deliver our Friday class worship sessions and later in the half term, they will deliver a session by themselves. Our first worship team led our class worship on Friday and they did a wonderful job. They planned and delivered the whole session by themselves and they have set a wonderful example for the rest of the class for when they get their turn. Well done! We watched an animation of the Bible story and as we watched, we listed emotive language (words and phrases which showed emotions and feelings of the characters in the story). After this, one group used drama to retell the story, making sure they showed the emotions of the characters. We discussed the feelings of guilt, regret, pride and vanity. We also identified where our Christian Values were shown in the story, for example, Joseph had wisdom, but he didn’t always use it as he allowed himself to brag and boast to his brothers instead of being more respectful towards them. However, they didn’t show fellowship to him by being so unkind to him. As part of our work on the Romans, we researched the foods that the Romans ate and we tasted a few of them. We tried olives, bread, olive oil, honey, figs, celery and radishes. Some foods were more popular than others! We used adjectives to describe their flavour, their aroma and their texture. We will be designing our own healthy Roman plates of food next week so watch this space! We visited Chester Grosvenor Museum to learn more about the Romans by handling artefacts and by meeting a real Roman soldier. First, we attended an exciting workshop where we were archaeologists and we found out about how Roman remains are found and excavated. We found out about how the Romans heated their houses, how they decorated their homes and what they wore. We then visited the amphitheatre with a fierce Roman soldier. We all had to wear armour and carry shields and we marched there and back shouting, “Sin, sin, sin, dex, sin”, which means, “Left, left, left, right, left” in Latin. In the amphitheatre, we practised our battle formations and it was us against the adults – we won of course! Finally, we visited the galleries and learned about the Roman gravestones which were found in the walls of Chester and we looked at many of the excavated artefacts found in Chester. It was an amazing day. We learned so much! History: What Foods Did The Romans Eat? This was the question we wanted to investigate today so we became archaeologists for the afternoon. We found some Roman poo. Yuck! We realised that it could hold some valuable clues as to what foods the Romans might have enjoyed and we were right! Very carefully, we probed and prodded and we discovered various ‘ingredients’ in the poo, including lemon seeds, melon seeds, date stones, grains and seeds and olive stones. This showed us that the Romans loved to eat fruits and grains. We then used the Internet to research further and we found out about other things they liked to eat. Their food was much healthier than ours is today as they had no takeaways or fast food! By the way, it wasn’t real poo – Mrs Davidson made it using salt, flour, oil, water and beef stock cubes then added the special ingredients! 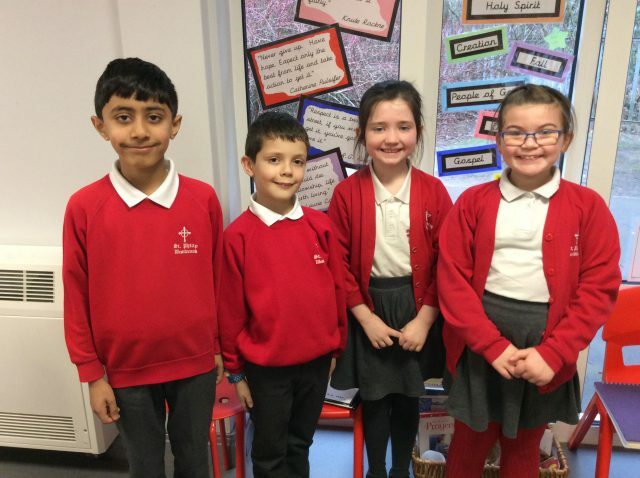 We have a new Worship Group who are responsible for helping Mrs Davidson to organise and lead our class worship sessions on Fridays. 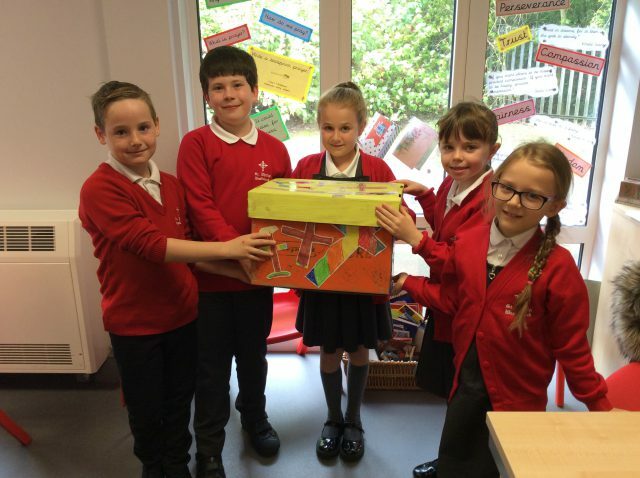 They enjoyed decorating our special box and placing the special objects in it. 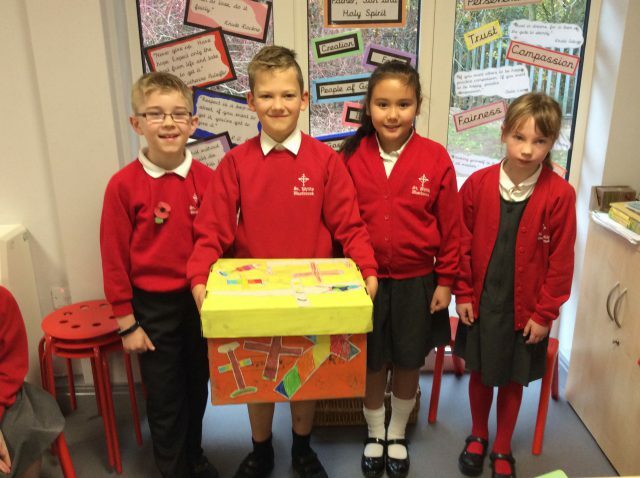 Each week they use the objects within the box to lead the assembly and at the end of the half term, they will lead an assembly in class themselves. Well done! To celebrate England’s success in the World Cup, Year 3 held their own football tournament. The children were split up into teams which represented the countries playing in the Fifa competition. England progressed to the final but were beaten by Poland, who were deserving winners. Each teacher picked a player of the tournament in recognition of their team spirit, skill and determination. Today, we have been using our sequencing and programming skills to create animated collages. We had great fun designing our own scenes and computer characters. We were amazed by how we could make the characters move and interact by giving them clear instructions. It was a day full of fun and creativity. We used our drama skills and art skills to explore the lives and culture of the Greeks. We enjoyed working with some special Greek visitors – an Athenian lady and a Spartan warrior. 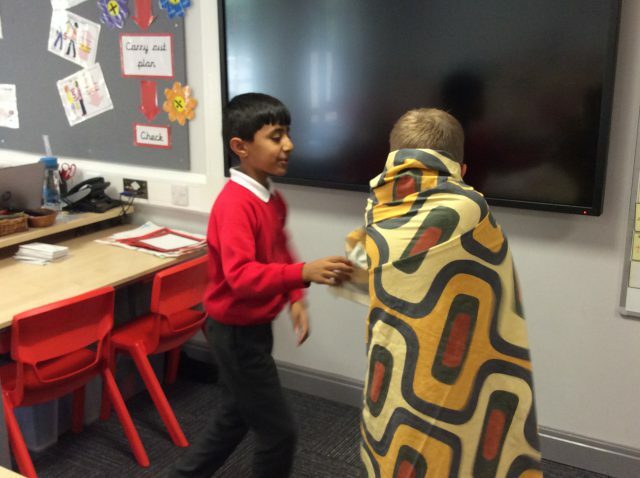 Throughout the day, we explored what daily life was like for these people by wearing special outfits, playing traditional games and looking at different artefacts. Thank you to all of the children, teachers, parents and to our special visitors for making this such a memorable day for us all. We can’t wait to find out more about the amazing Greeks. We have lots of talented and creative writers in our class and so today, we were all very excited to meet a real author! Andrew Glennon, the author of The Loneliest Robot, visited Year 3 to talk to us about what inspires him and about what life is like as an author. We learnt about the writing process and about the different people involved in the publishing of a book. Andrew read us a chapter of his book and some of us have even bought our own copies so that we can explore the story further. Today , we combined lots of our favourite lessons – Science, Maths and PE – in order to investigate the question, ‘Does physical activity make your heart rate increase or decrease?’ We designed our own enquiries to help us to answer the question, and we worked in partners to use the i-Pads to time one another as we completed a range of different exercises. We have learnt that physical activity DOES increase your heart rate because your muscles need more oxygen to make the energy needed for exercises, and so your heart has to pump your blood quicker to deliver the oxygen around your body. Our Science focus for today was to collect data about our environment and to create our own tables to record it in. We decided to head out onto the playground and collect data about the different birds that we could see. We were amazed by how many different types we saw, including: robins, magpies, blackbirds, sparrows and lots of very hungry seagulls! We thought carefully about what our tables would need to look like in order to present our data in a neat and useful way. We got the chance to be very creative scientists today. We mixed together PVA glue, baking soda, food colouring and contact solution, and we had to use all of our senses to describe the changes that happened as we mixed the ingredients together. Amazingly, the combination resulted in us creating our own goo! It looked colourful, sloppy and stringy. The shades were different because different amounts of food colouring were dropped in. We thought that our goo looked like webs made by Spiderman! At first, the consistency was quite sticky, but we could still stir it quite smoothly. Then, the consistency started to get stiffer, thicker and stronger. It looked dry but was still sticky. It was becoming more stiff and solid. At the end, it was very gooey and difficult to mix with the straw. We added more contact solution and it made it very dry and solid. Today, we have been lucky enough to enjoy a workshop with a company called Air Products, who supply gases, like liquid nitrogen, to lots of different businesses. We were amazed to find out just how cold liquid nitrogen is: – 196 degrees Celsius! We were interested to learn that the company is responsible for freezing our McDonald’s burgers and putting the POP into our Pringles! We were wowed by the experiments that our visitors treated us to, which included turning a banana into a hammer and filling a balloon with so much liquid nitrogen that it popped. We also found out about how Air Products dry freeze products and we got to crumble our very own flowers that were frozen in front of our very eyes. To launch British Science Week 2018, we were set the challenge of creating a jet-powered rocket balloon! We worked in groups to create our rockets using balloons, string, straws and cellotape. We gave our rockets energy by blowing the balloons up. When we let go of the balloons, our air acted as a force and pushed our rockets along. What happens if you blow the balloon as big as possible? Is it possible to launch the balloon off the track? What happens if your string has knots in? Over the last 2 weeks, we have really enjoyed learning all about an app called Pic Collage. We have used this app to create collages that represent our school Christian Values, which contain photographs, text and colourful backgrounds. The main character in our current class story, Arthur, needed our help today! He wanted to create a spear to keep in his trusty rucksack, but he wasn’t sure which rock to choose for his spearhead. We thought about important criteria for Arthur’s rock and decided that it would need to be: strong so that he could use it when battling fierce beasts; waterproof so that he could use it to hunt fish and also, chemical-proof in case it came into contact with one of his secret potions! We worked in groups to test a variety of rocks against our criteria, and we used our observation skills to compare the rocks and to describe the effects of a scratch test, a water test and a vinegar test. We had a fantastic World Book Day! Our classroom was filled with wonderful characters and we enjoyed time at Westbrook Library. We choose new books for the half term, completed a quiz and shared a story. In the afternoon, we completed a verse towards a whole school poem and drew beautiful pictures to show where our imagination goes when we escape in a book! Nieva! This morning, we enjoyed some fun in the snow. We then learnt how to describe the weather in Spanish. What an exciting start to our new half term! Today, we found out that in our English lessons, we will be exploring adventure stories and we have started off by investigating a very important element of these stories – quests. We started reading our new class story – Arthur and The Golden Rope – and found out about some of the quests that the characters have been on. Using our drama skills, we put ourselves into the shoes of the characters and imagined that we were on the quests ourselves. This afternoon, we were shocked to find a mystery rucksack in our cloak area! Who did it belong to? We explored the contents, which included a golden rope, a patterned egg, a damaged map, a pair of battered binoculars and a mysterious potion – and then we worked hard to choose effective vocabulary to describe each object. We can’t wait to carry on with the story to find out where some of these objects have come from. Wow – what a fantastic day we’ve had! Today, all of the children and adults in Year 3 became Egyptians for the day. We looked amazing in our costumes and they really helped us to get into character for the fun day of learning that lay ahead. As part of the day, we took part in lots of workshops that helped us to better understand the people of this ancient civilisation. We explored how the Egyptians wrote and communicated using the hieroglyphic alphabet, and we enjoyed writing our own messages using these symbols. 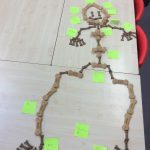 We developed our understanding of mummification by creating our own small-scale mummies. As part of the mummification process, we have learnt that Egyptians placed death masks on the bandaged mummies, and we used our art skills to design our own masks. We really enjoyed investigating the wall art that is found on the walls of tombs and pyramids, and we were amazed to learn about the way that Egyptians liked to paint people and gods. Unusually, some body parts faced the side, whilst some faced the front, and we found out that this was so paintings showed the most beautiful and perfect angles of a person. We enjoyed using wall art images as a stimulus to create our own dance movements. One of our favourite parts of the day was when we joined with the other Year 3 classes to share an Egyptian banquet. We sampled savoury foods like olives and dips, and we also tried a wide variety of fruits like pomegranate seeds and peaches. Thank you to everybody for making our Egyptian Day so memorable. This week, we have enjoyed getting our teeth stuck into a class story called ‘The Incredible Book-Eating Boy!’ The main character, Henry, loves to EAT all sorts of books. We were set the challenge of designing a plate of books for him, and we had to make sure it had a good balance of different genres, from romance to horror, to adventure to science-fiction. Yum! We were very excited to be the first year group to work alongside a professional artist who has come in to create whole-school pieces of artwork. We worked very carefully and precisely on our tasks, and can’t wait to see the end pieces! Today, we spent the day being scientists! In the morning, we enjoyed a workshop all about magnets. We explored different pushes and pulls by playing lots of fun games. One of the best bits of the day was when we got to be real scientists in the afternoon. We loved spending our time in the lab, and especially loved wearing the lab coats and the correct safety equipment. We have had a fantastic day, learnt a lot and made our teachers very proud with our enthusiastic attitudes and excellent behaviour. As part of our Health Week, today we welcomed a very special visitor – Sue Smith. Sue came in to tell us all about her career as a former professional footballer. We were really impressed by all of her achievements and we loved seeing one of her England caps and one of Sue’s favourite medals. We were all very inspired by Sue’s story and we have learnt that to succeed with our dreams and goals, we need to show great determination, even when faced with obstacles. Sue not only taught us about having a healthy body, but also a healthy mind and a healthy heart. The best bit was when we worked with Sue to play team games and we got to see her football skills! We have been practising our multiplication and division facts, and using these to support our understanding of written methods. We found the Dienes materials were really useful in helping us to explain our thinking. Mrs. Unsworth has been really impressed with our explanations, and the perseverance that we have been showing in class. We love ICT in Year 3! Today, we have been developing our coding skills using software called 2Code. We chose computer characters and gave them different instructions to follow on the screen. We can’t wait to learn more about programming. Every Wednesday, we will be enjoying dance lessons with Becky. In our first lesson, we talked about the importance of warming up properly to prepare our bodies and muscles. We made sure that we stretched carefully and safely. We then got to learn about the features of Bollywood Dance. We practised moves that we had learnt in our Diwali workshop and we are now learning more arm positions and travelling steps. Happy 2018! We hope that you all had a wonderful Christmas. 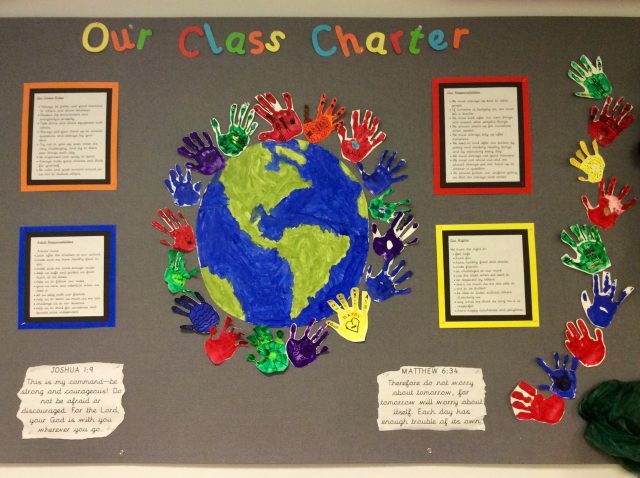 In school, we have had a busy start to the new year. In our first few days back, we have spent time exploring the story of Epiphany and enjoyed learning a poem called ‘This is the Star’. We were all excited to find out that our new History topic is going to be about the Ancient Egyptians. We have shared information (and gruesome facts!) that we already know about this period, and have thought about what we would like to find out. We know that the Egyptians are famous for building huge pyramids, but we want to find out exactly what is inside them and why. Lots of us have heard about mummification, but we’re interested to know why the Egyptians removed a person’s insides and we also wondered if it is just humans that were mummified. 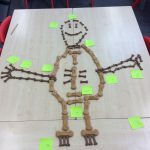 Science – Giant on the Loose! WARNING! There is a mysterious creature on the loose in Westbrook! Early this morning, Mr. Dodd discovered some unusual handprints on the side of the school building. We looked at patterns between our own hand size and different body parts, and used these to predict different measurements of the creature. In groups, we drew out what we thought the creature might have looked like based on the patterns that we had investigated. We were lucky enough to have a special visitor in our class today – Mrs. Carter, who is Spanish and who used to live in Barcelona. She told us all about what Christmas is like in Spain. We found out that we share many similar traditions, including eating a roast on Christmas Day and shopping in Christmas markets. We were amazed to learn that in Spain, the 6th of January is an even bigger celebration than Christmas Day. This is when people celebrate the arrival of the three kings. Mrs. Carter made our mouths water, as she told us all about the sweet treats and delicious dishes that Spanish people enjoy over the festive period. Thank you for all that you taught us, Mrs. Carter! Today, we have been chefs and we made our own Spanish omelettes. We worked carefully to prepare and combine our ingredients, and we ended up with some very tasty results. We found out that one of the best bits about the dish is that you can hide lots of delicious vegetables in it! We enjoyed our food so much that we decided to write letters to the school kitchen to convince our school chefs to add Spanish omelettes to our lunchtime menu. This week, we have been reading and enjoying a range of Christmas poems. We used our drama skills to explore the meaning and messages behind each poem, and then we were set the task of preparing a poem to perform to the class. We had to think carefully about how to use our voices to bring each poem to life and to show our feelings. Our favourite part was adding actions! Today, we were lucky enough to enjoy a rugby session led by coaches from Warrington Wolves. As well as practising our rugby skills, like passing, receiving and scoring tries, we also had the chance to develop our communication skills and importantly, our ability to work in teams. We had a fantastic time! Is it always hot in Spain? Today, we have been Geography detectives! We wanted to find out the answer to a question that we created as a class – is it always hot in Spain? We looked at different maps of Spain and picked out clues to help us to identify different weather patterns across the country. We were amazed to learn that there are many different climates across Spain. In mountainous regions, there is even snow in the winter! We used our new knowledge to be travel agents and designed different holidays, from beach holidays to surfing holidays to skiing holidays. 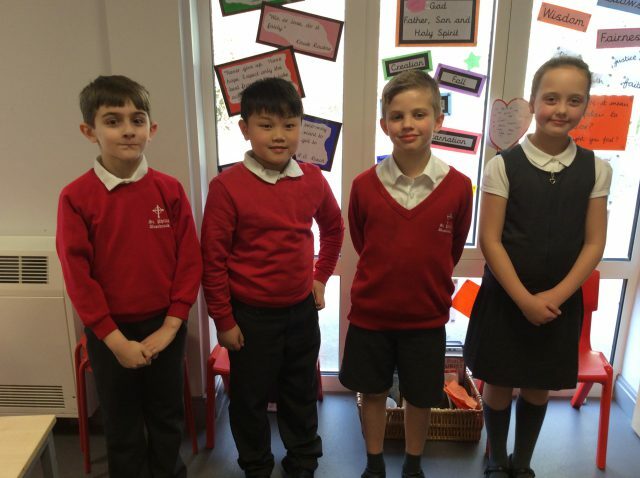 At the end of our lesson, we enjoyed hearing some of our friends telling us their own weather reports for a range of different holiday resorts. Science Investigation – Do people who have longer femurs jump further? In today’s Science lesson, we wanted to find out if it was true that ‘people with longer femurs jump further than those with shorter femurs’. We started off by measuring our own femurs and recording our answers to the nearest centimetre. Some of us chose to measure our femurs more than once, so that we could make sure our answers were as accurate as possible. When it came to doing our jumps, our class decided that we would do our tests inside in case the windy weather affected our results and blew us further! We completed our jumps in the hall and worked collaboratively to make accurate measurements. Interestingly, we found out that for our class, the statement wasn’t true; the people with the longest femurs didn’t always jump the furthest. Lots of us thought that this was because our bodies are all different and unique. Some of us thought that we all jumped differently because we all enjoy and practise different sports that may have affected our bodies in different ways. A couple of us even wondered if the weight of our femur bones may have affected our results. Mrs. Unsworth was really impressed with our range of suggestions and our creative thinking. Today, we enjoyed a wonderful visit to Westbrook Library. In English this week, we have been investigating non-fiction texts and so we made sure to have a good look through the wide range of information books on offer. The teachers have picked out some interesting books about Spain, and Mrs. McGinnity has chosen some exciting stories. We can’t wait to start reading our new books! This afternoon, we carried on learning about a traditional style of Spanish dance called ‘Flamenco’. After watching clips of a range of dancers, we made a list of common features. These included: sharp movements, strong arm positions, rhythms made with stamps and claps, and always having a tall, straight back. It was then our turn to try Flamenco! We learnt a sequence and worked hard to show all of the features on our list. Mrs. Unsworth was very impressed with our arm movements and our very focused facial expressions. You can see us in action on these photographs! Our new Science topic began with a Wow, Awe, Inspire activity. 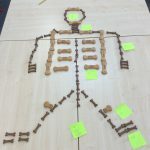 As well as considering what we would like to learn in this topic, we thought about what our own skeletons look like. 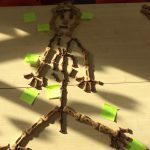 The children created wonderful representations of human skeletons and there was lots of discussion about our bone types, sizes and shapes. 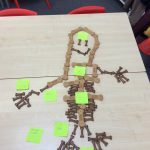 Take a look at the excellent labelling the children also added to their skeletons. Do children and adults have a different number of bones? What do the different bones look like? How many bones are in our hands and wrists? We are going to plan some exciting investigations to see if everyone moves in the same way. What a busy first day back! Welcome back to you all! We hope you all had a wonderful half term break. It’s only our first day back in, but we have already been working hard. 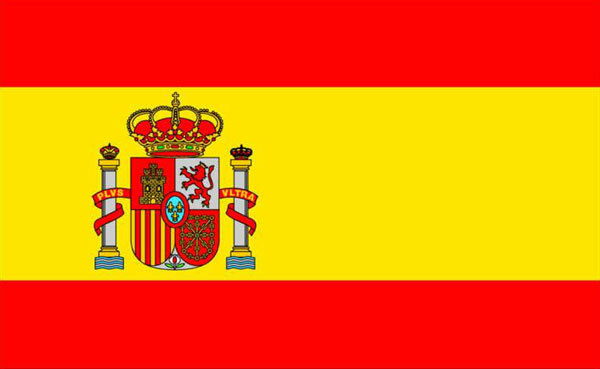 We loved finding out that our new project is going to be all about Spain. The children have spent time generating questions that they would like to investigate. We are all keen to find out about Spanish food. Lots of us also really want to learn more about the Spanish weather; we know that it can be hot in the Summer, but is it like this all year round? Does it ever snow? How different is it to England? It’s been lovely to be back; we can’t wait for another fantastic half term of learning! In PE, we have been practising our fundamental ABC skills – agility, balance and co-ordination. We have been developing these skills through a range of multi-skills games and activities. Our teachers have also been really impressed with our communication skills and the way we have worked well in teams. In today’s Maths lesson, we became the teachers! We have been learning how to use the column method to add numbers. Mrs Unsworth kept making mistakes and so we had to teach her how to use the method correctly! We showed her how to line her numbers up carefully by thinking about the value of each digit and we used the Dienes cubes to explain how to regroup and rename numbers. Thank you for your help, Year 3! Today, we created art based on Stone Henge. It was a very creative and messy lesson! We used oil pastels to create a sky background and then smudged the colours to create the effect of a sunset. We then carefully designed and cut out silhouettes of different rock formations. Our final pieces look really effective! In Science, we are continuing to investigate rocks. Today, we used sweets to find out about how the 3 different types of rocks (igneous, sedimentary and metamorphic) are formed. As we made the different ‘rocks’, we carefully observed how the sweets altered and we worked in pairs to describe the changes using scientific language. Today, our class enjoyed a visit to Westbrook Library. We loved looking at all of the wonderful books that were on offer. We have each chosen a book to loan, which we will keep in our Reading Area. Some of us chose story books, some of us chose non-fiction books and Mrs. McGinnity chose some exciting picture books for us to enjoy. We can’t wait to get stuck into them now! What a busy, fun-packed day we have all had! It was exciting to see so many of Roald Dahl’s wonderful characters in our classroom. Thank you to all parents and family members who helped the children with their fantastic costumes! After a lively assembly with our visitors, Kate and Michael, we had a Character Parade to share and celebrate our costumes. We then spent the rest of the day exploring the story of Fantastic Mr. Fox through Science and Drama activities and we enjoyed reading the story together. We particularly enjoyed our workshop with Michael, where we learnt about alliteration and created our own poetry inspired by the book. When reading Fantastic Mr. Fox, we quickly learnt just how much he loves chicken eggs! We wondered what happens to his eggs whenever he is running away from the trio of farmers who he is always tormenting. What happens to the yellow yolk and egg white inside the shell as Mr. Fox darts around the farm? We decided to investigate! After making our own predictions, we were ready to test out our ideas. We secured our eggs inside socks and tights and swung the eggs around and around, as if they were being flung around in Mr. Fox’s pocket! Our school cooks then kindly boiled our eggs. We were amazed to find out that different eggs reacted in different ways. We looked carefully at the shelled eggs and saw that most of the yellow yolks had become very large. Some of the yolks were different shapes because some of the yolks had popped! We think that if the eggs had been swung around for even longer, they may have become completely yellow. Today, we held our very own Rock Concert – and by ‘rocks’, we mean actual ‘rocks’! We were all set the challenge of bringing in our favourite rock. We shared our rocks and then worked in groups to sort them according to different properties. Awards were then given for lots of different categories, from the Sparkliest Rock to the Most Squashed Rock to the OAP Rock Award! Thank you to you all for sharing your fantastic rocks – you are all true Rockstars! We discovered lots of fascinating objects, including: animal skins, bones, dried fruits, a spear, an axe and lots of rocks in all shapes and sizes. We worked out that all of these objects would belong to a person who lived during The Stone Age. To find out more about this era, we have also started to learn a Stone Age rap! We can’t wait to find out more about what life would have been like all of those many years ago. Today we have been investigating the work of artist, Paul Klee. We found out that he was an abstract artist who saw the world in a very special and creative way. He used simple shapes and bold colours to express his feelings. We enjoyed using his style to create our own masterpieces based on his piece called ‘Castle and Sun’. It was also a great opportunity for us to use our Maths skills to accurately draw 2D shapes!